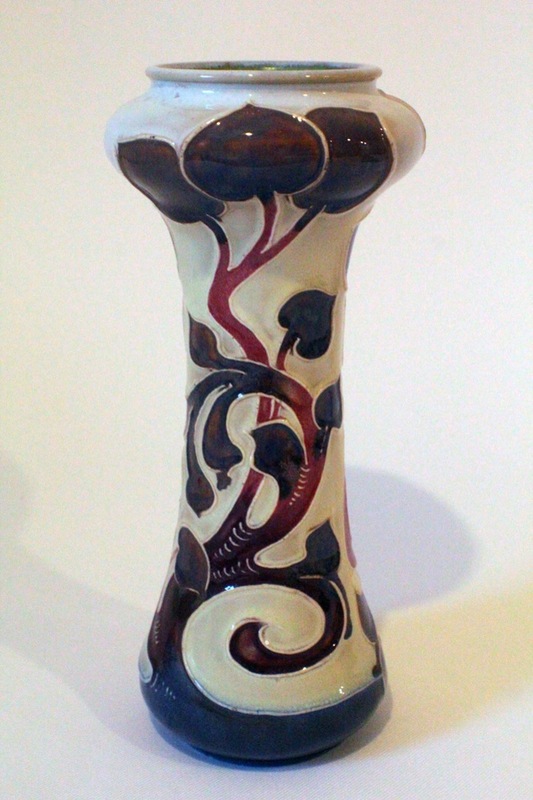 Doulton’s Frank Butler – a versatile artist. 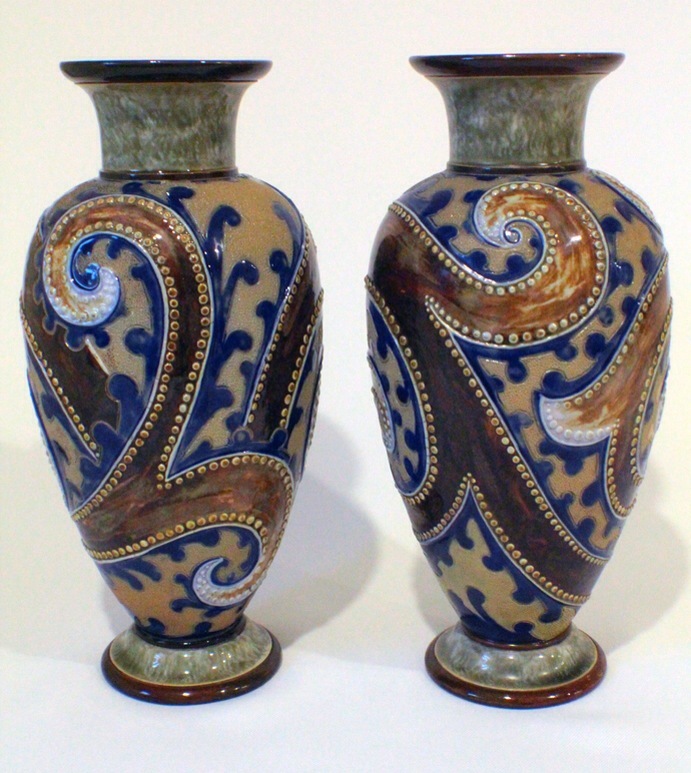 A chance find of this impressive pair of vases by Frank Butler reminded me of what a great talent he was. Never more so than when one considers that he was reported to be practically deaf and almost dumb. 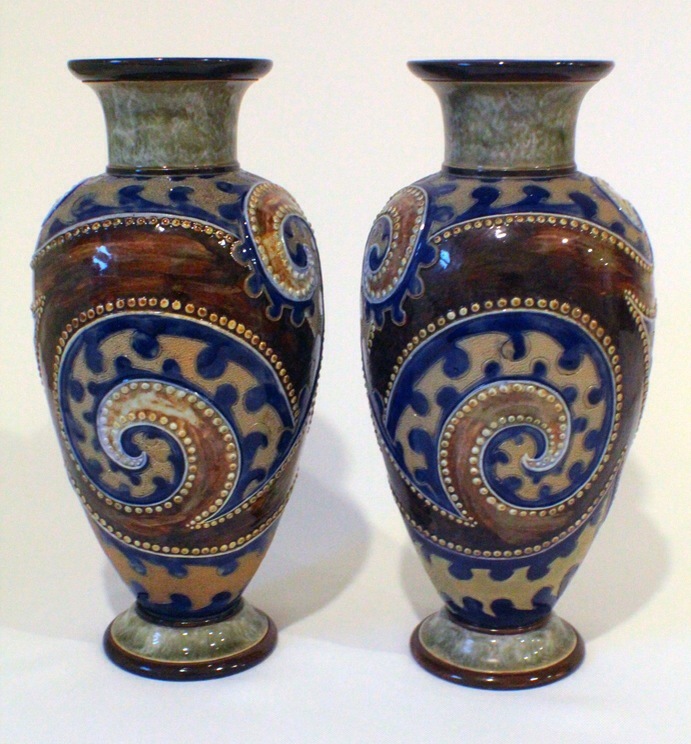 Yet, over an almost 40 year period, his output of stoneware certainly changed reflecting a versatile, confident ability. 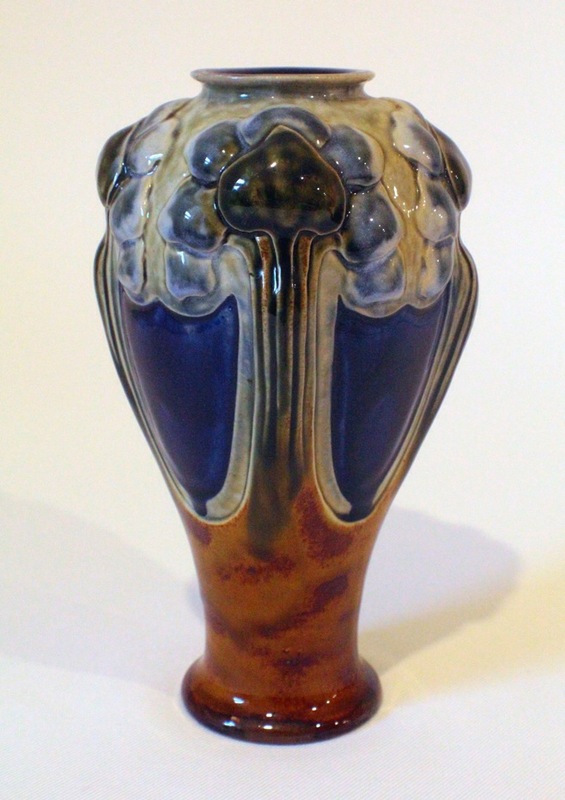 His particular flair for me is his art nouveau work, in particular his vases where the clay appears ‘pushed out’ as in the example below. Whatever our individual tastes, it is impossible to reject this great talent!